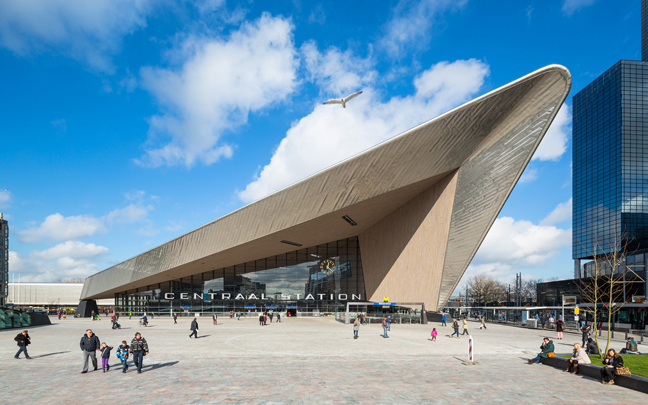 Rotterdam Central is part of the European network of high-speed railway lines and a nodal point in the city itself. This dual relationship, with the city and with Europe, gives the station and the station precinct a special dimension. 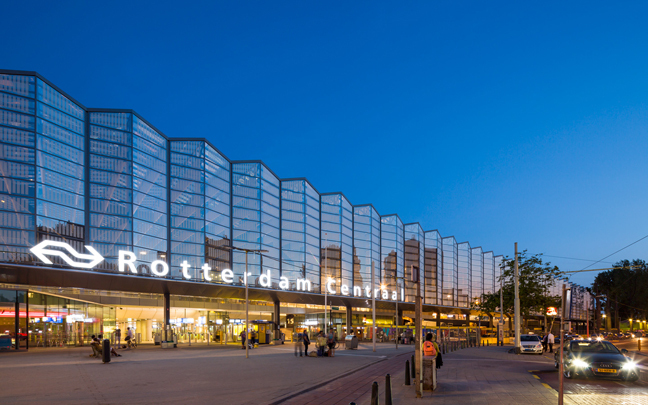 At Rotterdam Central, European travellers enter the Netherlands and Dutch travellers enter Europe. The old station by Sybold van Ravesteyn was out of step with current requirements with respect to size, layout and grandeur. 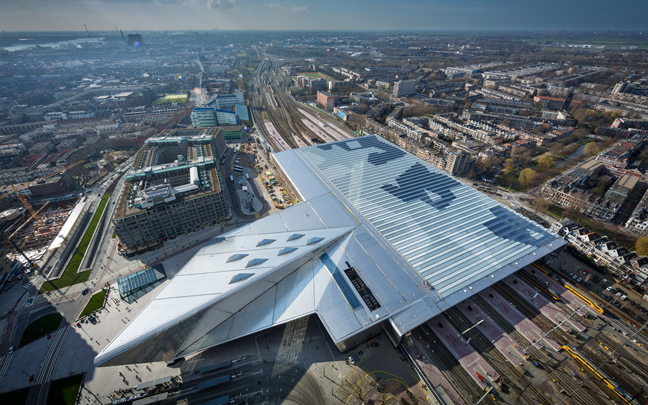 What was needed was a new station, designed as one entity: the station hall now runs from Proveniersplein on the north side to Stationsplein on the south – in other words, the 250-metre-wide platform roof forms a whole with the main concourse and the train travellers’ tunnel. The result is that from the moment of arrival, train passengers have the sense of entering a building. A salient feature of the location is the big difference in character between the areas north and south of the station. To the north there is a residential area. Here the new station roof makes a modest and transparent impression. On the city centre side the station exhibits a new grandeur that is in keeping with the dimensions of the imposing high-rise buildings that characterize the entrance to the city. 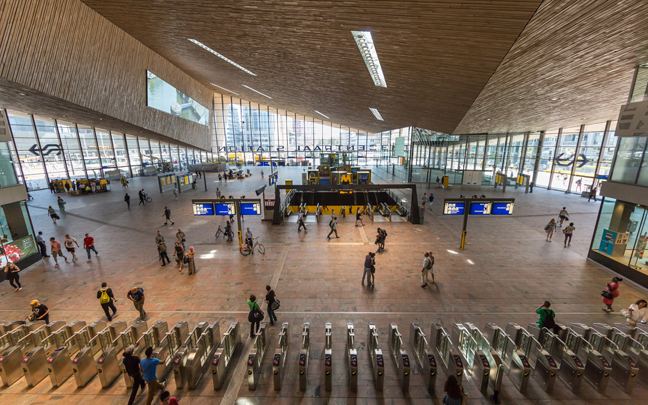 Rotterdam’s urbanity is reinforced here by a metropolitan station architecture in which the building and the new station square merge. Here the station roof folds to create a welcoming and very spacious station concourse, which also provides direct access to the new metro station below.